Jakarta Provincial Government fully supports Asian Para Games 2018 event that will be held on October 6-13.
" Jakarta Government will support this event optimally thus it could be carried out smoothly and safely"
It is conveyed by Jakarta Secretary, Saefullah, after coordination meeting with Asian Para Games (INAPGOC) national committee and some related SKPDs at Vice Governor meeting room, City Hall, Wednesday (9/5). 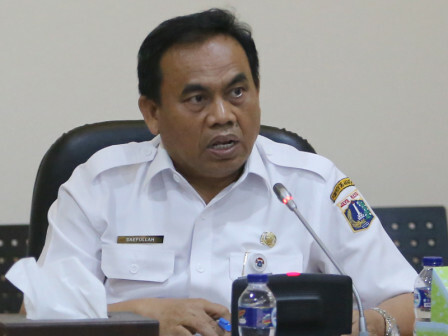 "Jakarta Government will support this event optimally thus it could be carried out smoothly and safely, as the Asian Games which is recently done successfully," he stated. He informed, this disability sport event will be participated by 42 countries with total officials and athletes around 5 thousand people that will compete in 18 number of sports. "I asked related SKPD such as Transportation Dept., Satpol PP, Environment Dept., Kominfotik Dept., and others to keep coordinating with organizer's committee thus all things needed can be managed well," he conveyed.